Aero-engine is honored as “crown jewelry” for its high technical content, and processing difficulty. The ability to development domestic engines are the hallmarks of a country becoming an aviation powerhouse. Guided by the “Two Major Projects” initiative of the “Top 100 Projects” focused on China’s development, China’s aero engines have made gratifying progress and development in recent years. However, the gap between the level of domestic manufacturing technology and the mature manufacturers in the world is still large. The development of aero engine still faces many difficulties and challenges. In terms of engine cutting-edge materials and processing technology, blade manufacturing key technologies, overall leaf disc manufacturing and repair technologies, Airworthiness certification and testing technology, management, maintenance and other areas there are still technical difficulties. 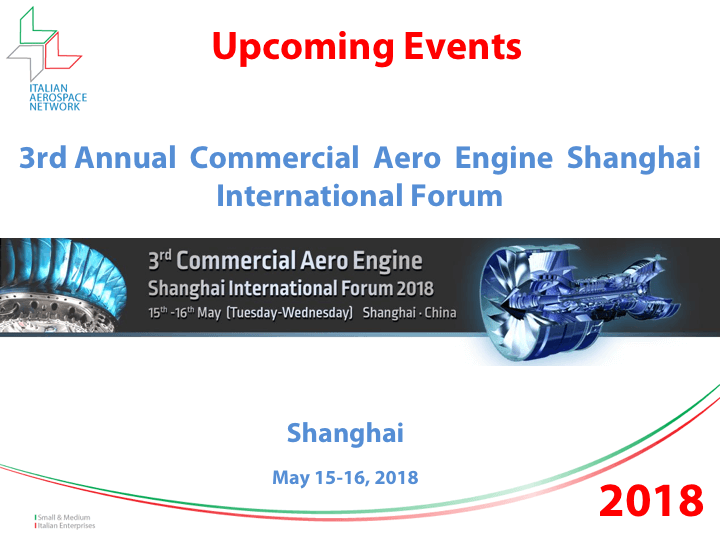 Under this background, the “Commercial Aero Engine Shanghai International Forum” will be held in Shanghai on 15th to 16th , May,2018 (Tuesday to Wednesday). More than 150 well-known domestic and foreign aero engine business executives and experts will be invited to share the forefront developments Chinese aero engine market demand, and jointly make contribution to Chinese aero engine industry. A warm welcome to participate to the 3rd Aero Engine International Forum.